The lives of thousands of refugees are at risk for the sake of a political dive to the bottom. Adbulrahman Idris from Darfour, Sudan, crossed the Sahara to arrive in Libya. November, 2017. SOPA/Press Association. All rights reserved. In an attempt to save her government and placate German interior minister and leader of the conservative party of Bavaria, Horst Seehofer, Angela Merkel has agreed to plans to erect extrajudicial spaces called “transit zones” at the border to Austria. In accordance with Seehofer’s demands for unilateral actions, the measure seeks to reject refugees that have already registered for an asylum application in other EU countries. Yet, we know from experience that unilateral actions seldom have unilateral consequences. We have learned this lesson when Hungary sealed its borders in September 2015 by erecting razor wire fences, deploying special police forces to patrol the borders to Serbia and established just those transit zones that the German government now seeks to emulate. These decisions had immediate knock-on effects on the treatment of refugees not only in Hungary but all throughout the so called “Balkan Route”. Seeing border fences going up and the Balkan Route’s bottleneck being closed, other countries copied the Hungarian solution: none wanted to host those refugees that could no longer go on to seek protection in the country of their destination. The unilateral decision of the Hungarian government had, at the time, created a ripple effect of border controls and abuses of refugee rights that reached far back into Turkey. Slovenia and Croatia soon began adopting similar measures. In March 2016, both these countries effectively sealed their borders to refugees after Sweden had begun controlling the borders to Denmark, Denmark to Germany, Germany to Austria and Austria to Slovenia. Macedonia followed suit shortly after by erecting barbed wire fences and deploying army troops at their borders themselves. Those unfortunate refugees that were violently pushed back from Hungary to Serbia subsequently ran the risk of being caught up in a chain of push backs: from Serbia to Macedonia and from Macedonia back to Greece, often suffering beatings, humiliation and theft of their belongings by private vigilante groups or police forces along the way. Today, we witness the same ripple effect emanating from the German decision to close down its borders with Austria, arguably with worse consequences to refugees themselves. Just one day after the German decision, the Austrian chancellor Sebastian Kurz announced that Austria would react to it by closing down its own borders, beginning with border controls at the Brenner Pass. In a speech before the European Parliament he subsequently argued for a “paradigm shift in migration”, that would allow for a Europe without internal borders only in the long term. The message by the German and Austrian governments was heard by other European leaders in countries further south. 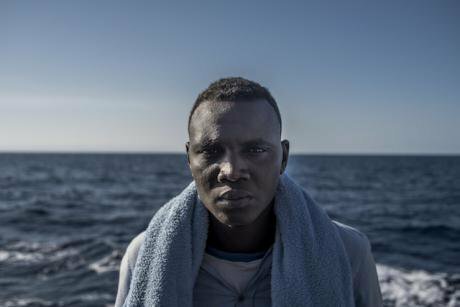 Italy had already begun adopting harsher policies towards refugees by calling back its rescue missions, obstructing rescue operations by civil society actors and denying other rescue ships access to its harbours. Malta has adopted similar measures. On July 4, it seized the “Moonbird”, an aircraft operated by the Swiss Humanitarian Pilots Initiative (HPI) that has participated in saving over 20,000 people in the Mediterranean last year alone. What effects must we anticipate? The ripple effect of harsh immigration policies that emanated from Hungary’s unilateral decision to close down its borders gives us a pretty good idea of what is about to happen next. Refugees already en route to Germany will be detained in transit centres and consequently pushed back to Austria. Just as in the Hungarian case, this will cause a chain of pushbacks from Austria to Italy or all the way back to Greece. These countries themselves will adopt even stricter immigration policies – a taste of which we were already given with their decisions to let refugees drown in the Mediterranean rather than to have to host them themselves. Indeed, they seem to be ready to give up on their international legal obligations and every inch of their moral conscience if that is what it takes not to be left as one of the few countries to host refugees. The ripple effect of harsh immigration policies will not only be felt by those refugees floating in the Mediterranean with no place to go. It has also started to affect countries south of the Mediterranean such as Algeria. With an eye to harsher immigration policies being enforced by EU states, these countries seem equally unwilling to be the state that ‘loses out’, having to host those refugees that EU states reject. Algeria has already begun with the pushback of refugees, packing them into trucks and abandoning them in the Saharan Desert. Last year alone approximately 13,000 refugees were abandoned in the Saharan Desert to wander off by foot in the direction of Niger and towards likely death in temperatures reaching 48°C. Their unwillingness to take over the international legal obligations that EU states intend to force upon them was manifested by their clear rejections of proposals from EU officials to create holding centres in northern African states to process asylum claims from there. None of the states concerned agreed to such plans. This should give us pause. The unfortunate lesson that we can draw from the effects of unilateral actions by EU states is that we have to prepare for more of the same: the ripples will spread, there will be harsher immigration policies ranging far into Africa, putting at risk the lives of thousands of refugees for the sake of political stubbornness and leaders' unwillingness to assume their legal and moral obligations towards the lives of others.